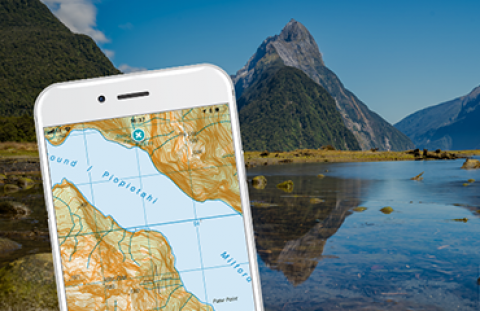 ViewRanger, a pioneer in outdoor GPS navigation and augmented reality, has released New Zealand Premium, a new subscription providing unlimited access to topographic maps for New Zealand on smartphones, smartwatches, tablets, and computers. Explorers can try the maps for 7 days for free. See detailed terrain, peak names, trails, contours, vegetation – and more! After the trial period, New Zealand Premium costs $11.99 NZD per year. ViewRanger has an active community of more than 3.8 million registered explorers. ViewRanger is used and trusted by more than 350 search and rescue teams worldwide, including New Zealand’s Ruapehu Alpine Rescue Organisation who use the ViewRanger app and maps on missions in and around New Zealand’s Tongariro National Park. To start a 7-day trial, download the free ViewRanger app from Google Play or the Apple App Store. Launch app. Go to Map Shop and select New Zealand to begin a trial subscription. ViewRanger runs on Android and Android Wear devices, iPhone, iPad and Apple Watch.